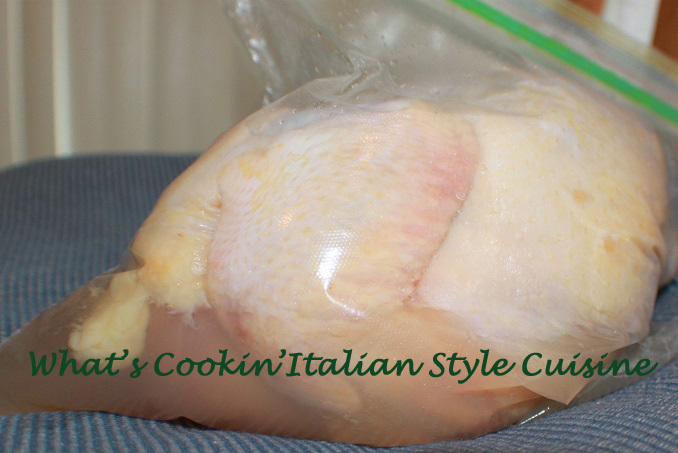 This is the best Roasted Chicken Freezer Marinade Recipe I have had yet. I love the moistness that it holds while baking! Well even though this really isn't much of a recipe, it's more like a tip and method. It sure is an easy fix ahead of time when you are on a budget and want to save time! I bought several whole roasting chickens on sale for a great price. I just hate to clean them after they are frozen. You have to thaw them first then take out the insides, clean them all up and I always have a horrible time getting the bags out from inside when frozen takes way too long! So, I decided to clean them all at the same time then they would all be ready to just roast when I needed one of them for dinner. I had bought 8 chickens, that's a lot of chicken to clean if they were all in the freezer and such a pain! I also bought heavy duty freezer bags. Each roasting chicken was about 5 1/2 pounds each. I proceeded to clean each chicken removing the bags inside of each, snipping off the overlapping skins and back side pieces. Rinsed then shook them dry. Then I placed each one in a freezer gallon size bag. Now for the best part!!!! The marinade! I poured 1-12oz bottle of beer on each whole chicken any kind will do! Then I added this combination below sprinkling in each bag, the below ingredients is for one chicken. I had to make a lot of this seasoning for all eight, you will have to adapt to how many you have. The best way is to make it for each bag so you don't over season one and not enough for the other. Sprinkle on the chicken with the beer in the bags. I turn it over a few times and stuck it in the freezer to make sure its well coated with seasonings. Then when I am ready to cook this I let the chicken thaw in the refrigerator overnight. Place in a roaster pan with rack. Add juices and herbs too, and just cook it until it's done around 2 1/2 to 3 hours depending on the size at 350 degrees. Baste with the juices of beer and herbs marinade. 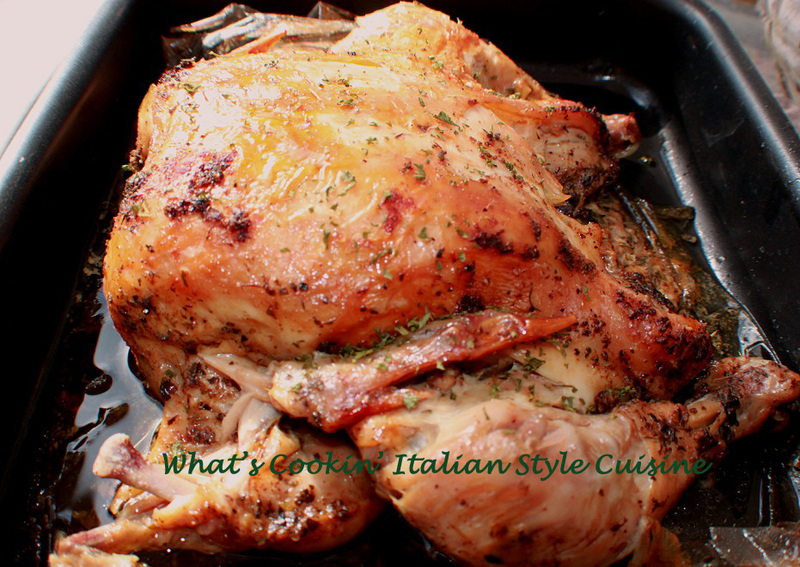 When skin is browned the chicken will be moist, tender and falls off the bone. I also like to broil the top for a crispier skin. Use leftovers to top a salad or this chicken make great sandwiches. If you put it on a rack you won't have to totally defrost it the juices will drop to the bottom of the pan.. great question Liz!